Everyday more and more foreign employees are joining companies. Many of these employee do not speak English or they do not Speak English well. A vast majority of these non-English Speaking employees speak Spanish as their primary or native language. 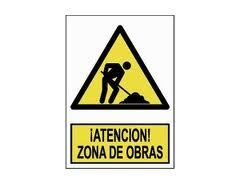 It is important that these Spanish speaking employees be taught safety and company policies in Spanish. Using Spanish in safety training is important for several reasons. First, employers and companies want their employees to learn about work safety and company policies. This training is essential to insure the well being of the employee in the work place and to help stop potential lawsuits against the employer. In order to do these employers need to insure that employees understand what they are being taught. And employees need to feel comfortable that they understand what is they are expected to learn as well. Teaching Spanish Speaking employees in Spanish may also cut down on insurance costs or lawsuits in case of an accident. One common concern among insurance companies is that employees do not completely understanding safety procedures when taught by company training instructors. This is true whether the company is a construction company, a manufacturing company, or a professional company such as a hospital or accounting firm. And the reality is that many Spanish speaking employees work in restaurants where the potential for fires is high. In a restaurant environment the potential for a fire is higher than in most other businesses simply because in order to cook you must have a source of high heat such as a grill, a fryer, or an oven. These appliances when combined with grease, vegetable oil, or animal fat increase the potential danger of a fire starting. In case of a fire or other dangerous situation, employers need to teach Spanish speaking employees safety training in their native language when possible. In the United States there are plenty of resources for teaching Spanish Speaking Employees safety procedures in Spanish. So, there is no excuse for employers not making the effort to accommodate these Spanish speaking employees. In some cases and in some industries such as construction, laborers who came from poor countries may be used to perform work. That is just a fact of life. And it has been shown that in these countries that have fewer resources, workers may have been taught or learned on their own how to get the job done with inadequate safety precautions or supplies. An example, of this is the propping up of ladders and scaffolding with rocks, bricks or boards under the legs. While this may make it easier to reach greater heights, there is also an extremely increased risk of injury or a death caused by a fall. I have trained employees in Spanish on numerous occasions and have developed videos and other safety training documents to assist employers in training employees in Spanish. I also help employers develop training and documents in Spanish for other employee and management for any other function or aspect of the business. Spanish speaking employees need to be able to fully understand what is being taught in their own language. At Fesco Fire Extinguisher & Safety Service Company, LLC we will go out to your work site and train your Spanish Speaking employee in Spanish. We can train them in with according to our safety training procedures or we can adapt any type of training you have that needs to be taught in Spanish. Call us for a free quote. You cannot afford to leave this training to chance. Make sure that you are training your employees in their own language. Read more below. Everyday in Birmingham and other cities of Alabama, Spanish speaking employees are working hard. It does not matter what type of business you have from cooking to construction. We teach thing you want taught, not just fire protection.Call to day for this service or write us at info@fescousa.com Ph :(347) 912-0836 Ph: (347) 912-0836for more details. Make sure that your employees are properly trained according to your training policy and procedures. We canl take your policy and procedure and train your employees in Spanish for you. We can also write another of your P&P or parts of it in Spanish. Spanish training videos can also be developed specifically for your industry or your company. Contact us for these service.